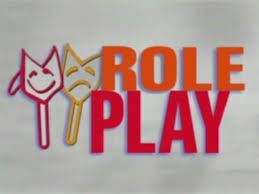 How many times have you heard, "We hate to role play"! Many trainers have given up on this tried-and-true technique. It has been done poorly for so long that role play has gotten a bad reputation. We're here to restore its image and add this valuable learning technique back to your toolbox. This session will model an effective method for constructing such practice opportunities. You will leave the session with a clearly defined process for better role plays, as well as new techniques to ensure your learners are better equipped to transfer skills back to the workplace - making it more than a training technique but a true tool for talent development. Discuss the value of role play as a learning and level 2 evaluation technique. Identify some of the common challenges of role play and ways it is often misused. Outline a process for more effective role playing in large and small groups. Practice a fail-safe technique for debriefing in order to capture the learning. Identify best practices to immediately incorporate into their own interactive sessions. Hot coffee and breakfast will be served starting at 8:00 a.m. Dawn O. Holzer, BCC, SPHR, SHRM-SCP is a Board Certified Coach and talent development professional. Dawn is principal of Pathway Leadership Consulting, LLC, Co-Founder of CaseCards, and Master Trainer for Discovery Learning International, a division of MHS. Deployment Inventory (SDI), the Change Style Indicator©, and the DiSC Behavioral Profile©, along with numerous other tools and business simulations. She is the lead consultant at Splash Performance and co-founder of CaseCards. For additional information, contact Jada M. Addison, VP of Programs at vpprograms@atdmidlands.org.